Lately I take the bus or train into downtown Austin whenever the schedule will work for the timeframe of my visit. While the bus doesn't really get me there any faster than traveling by car, it does let me relax and do other things besides getting irritated with long traffic lights, congested traffic, and idiot drivers fiddling with their damned phones while driving. I was coming home from a concert in downtown one night and I started snapping a few photos during the long bus ride back to north Austin.. There weren't many obvious items of interest on the dark and bumpy ride. 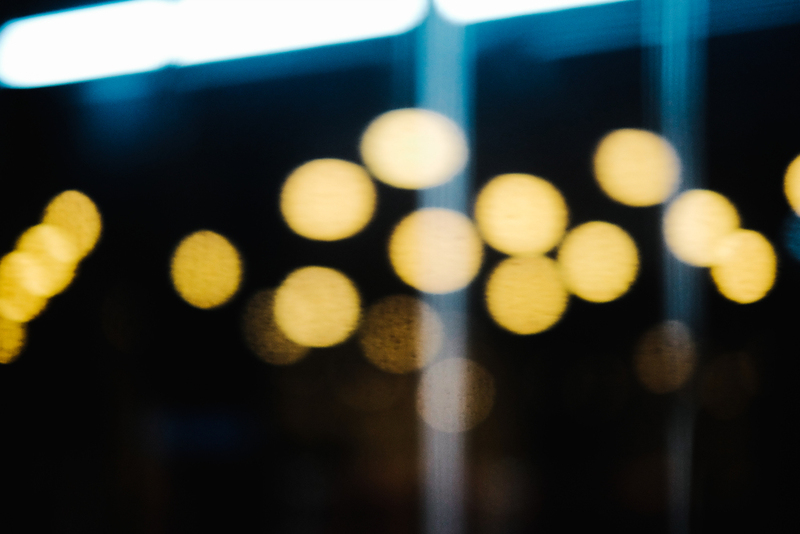 Purposely shooting with my lens out of focus opened up a different world. I found the images I was capturing to be somewhat calming. If nothing else they helped occupy my time and smooth out the ride a little, at least mentally.